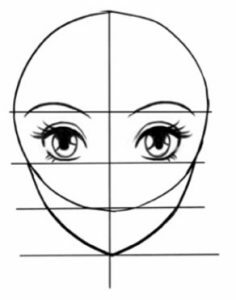 If you are searching for drawing a face, that means you have completed the amateur stage. Congratulations you are no longer an amateur. So let’s begin the intermediate level without any delay. Drawing a face is not an easy task for novices. But don’t get disheartened as I will be sharing as many possible simple tricks to help you out. First of all, before going to draw a face, we will try to draw a normal human figure for kids as practice. 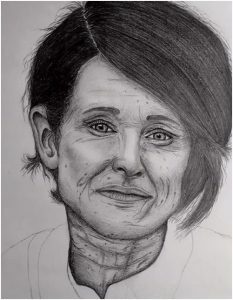 Drawing a face requires a lot of patience, skills and confidence among yourself which is a key factor. 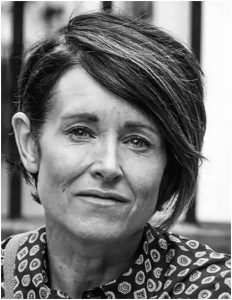 We need to take care of each and every feature of the face. 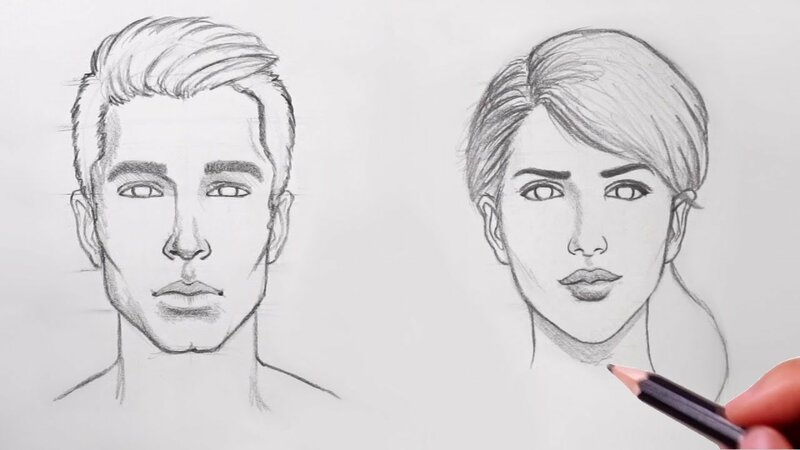 Hence, before drawing a face please practice each and every body part individually to make it more realistic. So without any delay grab your pencil and a blank sheet of paper and follow my steps. 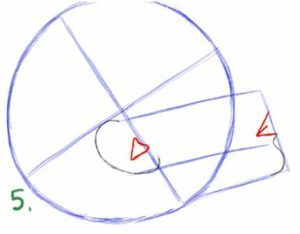 The common mistake done by everyone is we don’t look at proportions i.e. it may get distorted. Size of face and body may vary. So take care of the proportions. A simple way is to divide the person into different parts and then combine them. 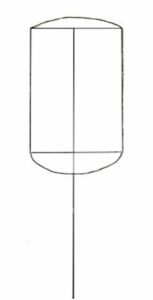 Step 1 Draw rectangular shape for the body and draw two half ovals over the breadths to show the shoulders. 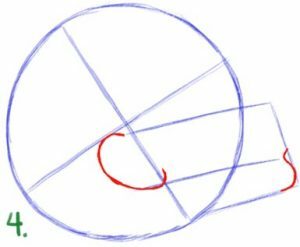 Next draw a straight a line from the middle of the rectangle with length twice as much of the length of the rectangle. 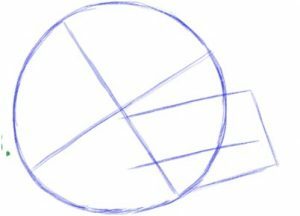 Step 2 Draw separate ovals for the head, shoulder and knees. 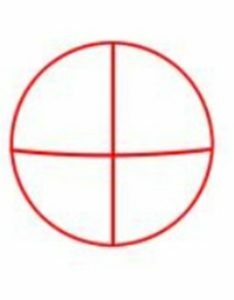 Join the head with the rectangle as shown. Step 3 Now draw circles for the elbows and feet. 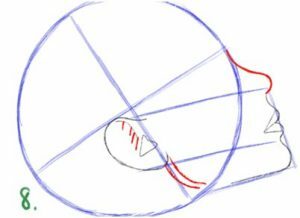 We then draw a pair of curved lines along the rectangle and connect them with the knee to show the body shape. Step 4 Now connect the shoulder with the elbow then to the body for drawing the hands. Nest connect the thighs with knee and then to the feet. Make sure that the proportions are right, thighs will be thicker than legs. 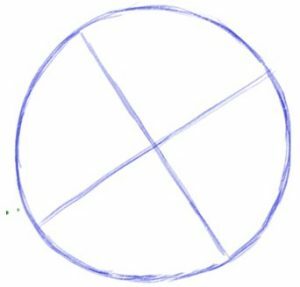 Step 5 Erase the circular and rectangular outlines. Mark the neck and shoulders. Step 6 Add details to the image by marking the eyes and mouth and shading the clothes. How to Draw a Face for Kids? Step 1 Draw round shape for the face and give the outlines as shown. 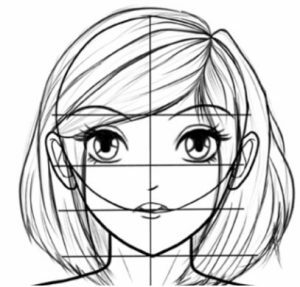 Step 2 Draw the lower part of the face which shows the characteristics of a boy or a girl. Start to make the eye. 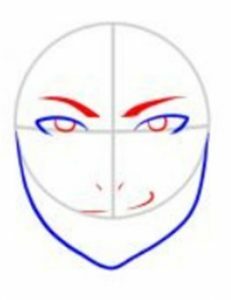 Step 3 Draw circular eyeballs and give thick strokes for male eyebrows and thin in case of female. Mark the nose. 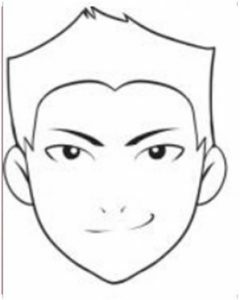 Step 4 Draw simple hairstyle as your favorite cartoon heroes. Step 5 Give details to eyes and ear. Lastly, erase the outlines. 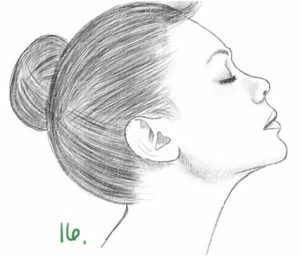 How to Draw a Female Face from Side? 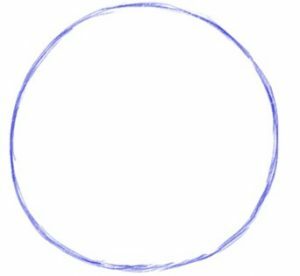 Step 1 Draw a circular outline at the center for the face. 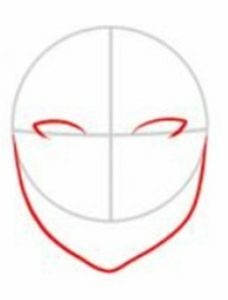 Step 2 Now draw a X shaped outline within the face. Step 3 A reverse E is drawn for the mouth. 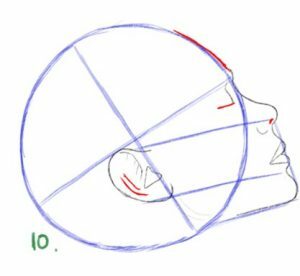 Step 4 Draw a C in the lower sector for the ear and a S for the chin within the E shape. Step 5 Within the ear draw a heart like shape and V for the mouth. 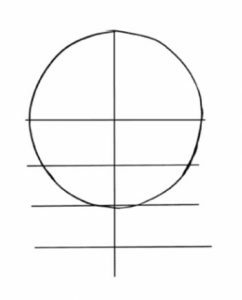 Step 6 Connect the C with the upper half of E and draw curved line in V to show the lips. 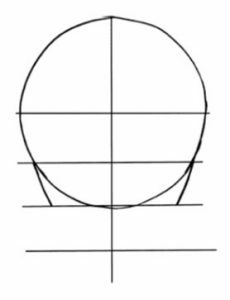 Step 7 Draw a curved line for the earlobe and an S to mark the beginning of the nose. 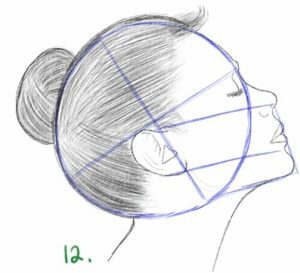 Step 8 Draw the nose and curved lines as shown. Step 9 Draw a curved line above the nose for the eye. 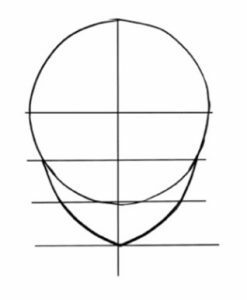 Step 10 Draw a curved line in the ear. Mark the nostrils and eyelashes. 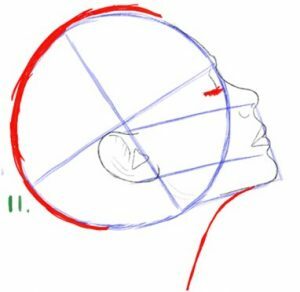 Step 11 Draw a semicircle for the head and a curved line for the neck. Step 12 Draw lines for the hair and small lines for the eyebrows. Step 13 Shade the picture. 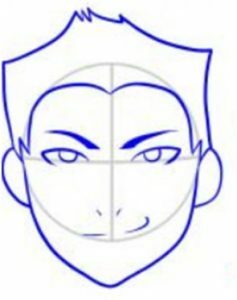 How to Draw Anime or Cartoon Face? 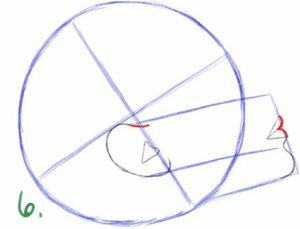 Step 1 Draw a circle and divide the circle by a vertical line extending it beyond the circle. 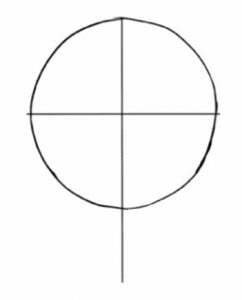 Step 2 Draw a diameter to mark the centre. 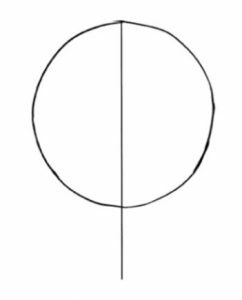 Step 3 Draw 3 parallel lines parallel to each other below the diameter as shown. 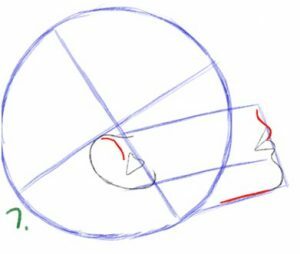 Step 4 Draw a pair of tilted line from the 2nd line starting at the intersection point to the third line for the jaws and cheeks. Continue that line till they meet in the 3rd horizontal line. 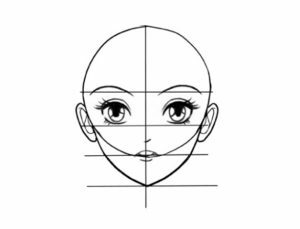 Step 5 Draw the eyes between the first and second line and eyebrows above the first line. 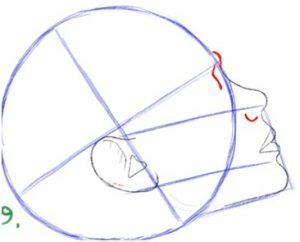 Step 6 Draw the nose below the 2nd line and the mouth on the 3rd line. Step 7 Draw the ears beside the eye. Step 8 Give finishing touches by drawing the hair and shading it lightly. 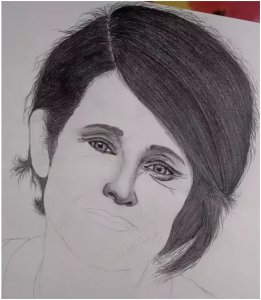 How to Sketch a Face from Photo? Step 2 Outline everything and then tour concern should be hairs. Never shade hairs, draw thin lines over and over for the hairs. Step 3 Zoom the picture and give focus to the eyes. People will usually ignore other flaws. Take a good look the skin texture and start sketching it.